June has flown by. It’s been such a hectic month with Ramadhan and exams finally ending! The weather going from sunny to thunder it’s really been expecting the unexpected. Now let’s skip to the good bit..June favourites. 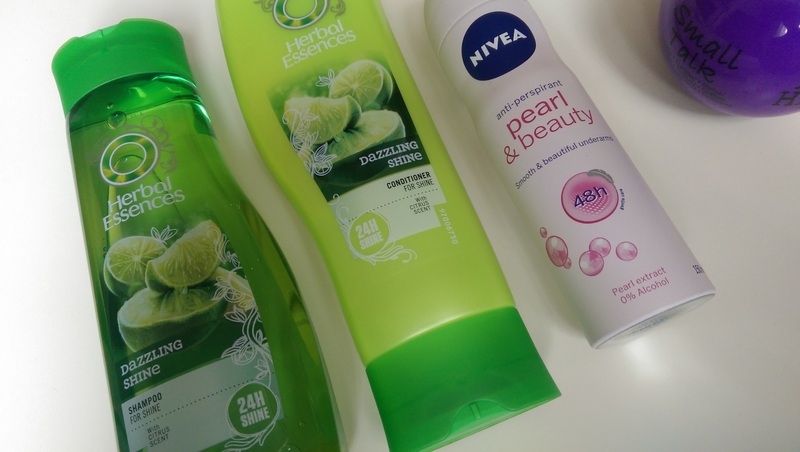 Herbal Essences Dazzling Shampoo – Boots. Everyone always ask what shampoo I use on my hair,well I’m going reveal to you it’s herbal essences this is what makes my hair so shiny and makes it look super healthy. Not forgetting how lovely the citrus scent is I mean it’s an all round great shampoo! Herbal Essences Dazzling Conditioner – Boots. Similar to the shampoo this is amazing too, however I’d advise you to use the tiniest bit as it goes a long way as if too much is used it makes your hair look greasy relatively quickly. This again gives your hair a refreshing look and a great scent. 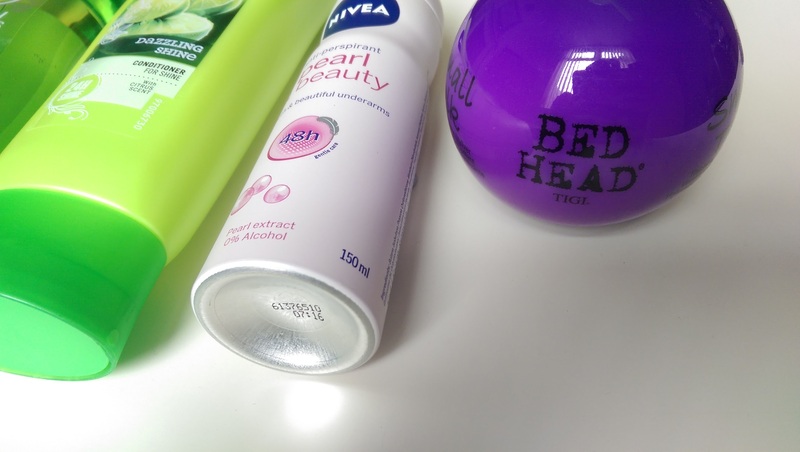 Nivea Pearl & Beauty Deodorant – Superdrug. As someone who loves using deodorant this is one of the best ones as it doesn’t leave white marks which is great as I always wear black this would be a disaster. It’s long lasting and not too strong which is the perfect combination. Bed Head Small Talk Thickifier – Look fantastic. This styling lotion is perfect if you have long hair which requires volume or any hair type should I say it gives definition and eliminates frizz on dry hair which saves my life. As my hair is super frizzy but this is the perfect solution. 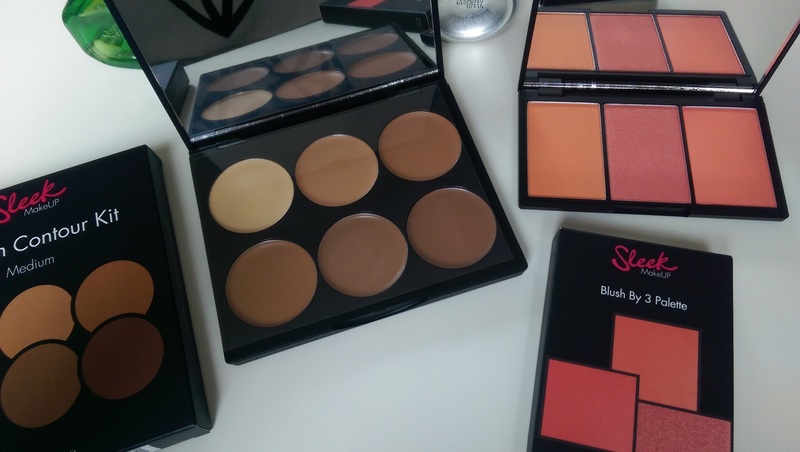 Sleek Blush By Lace 3 – Superdrug. This month I’ve been loving blusher with a berry lip. I mean I hardly have been into blusher but I’m glad my obsession is back this contains the best shades which are pretty tones for all skin shades. 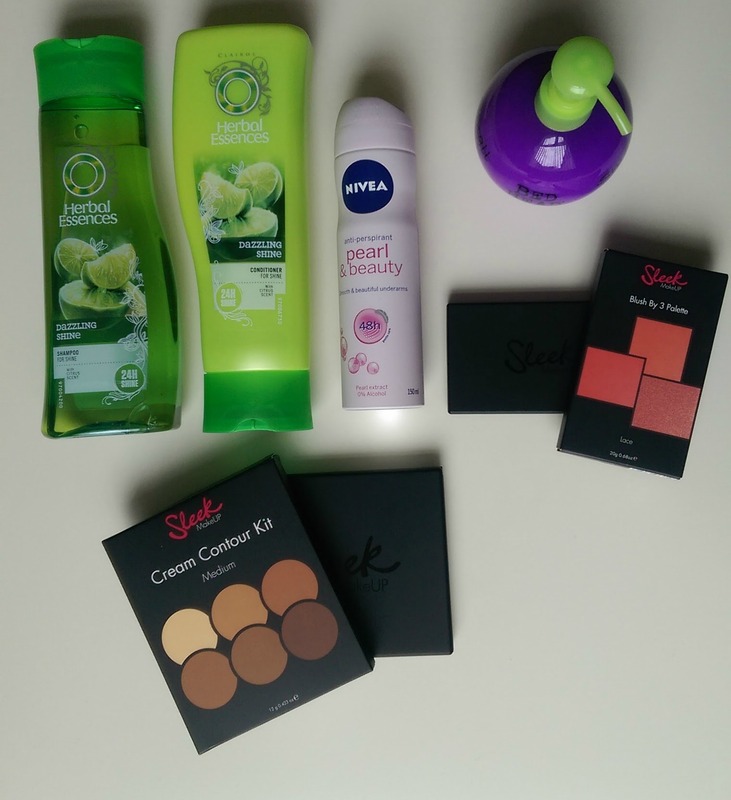 Sleek Makeup Cream Contour (medium) – Superdrug. Similar to blush you all know how much I love my contour this pallete honestly is heaven if you haven’t got your hands on this you need it! I hadn’t tried cream contour which is why I purchased this but honestly it’s so much easier application and easy to blend! Let me now if you want a make-up look with these 2 palletes. What products have you been loving this month? Comment below.